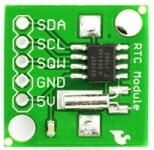 A RTC (Real Time Clock) module keeps track of the current time. One of the most used RTC is Maxim’s DS1307 (datasheet) that has an handy I2C serial interface. I chose a module by SparkFun with DS1307 chip, the needed 32KHz crystal and a lithium coin cell battery to keep RTC updated even without external power supply. Arduino offers indeed an I2C interface (“Wire” as the official library is called) on PIN Analog 4 and 5. For more informations, I suggest the reading of the following tutorial, by LadyAda too. With 74141, you need 4 digital PINs for each Nixie tube: the Arduino I chose hasn’t enough I/O PINs. 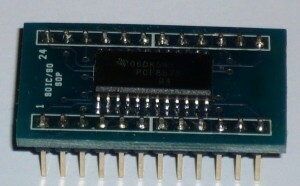 There are some integrated circuits, called I/O expander, that allow you to expand the number of pins using a communication bus. 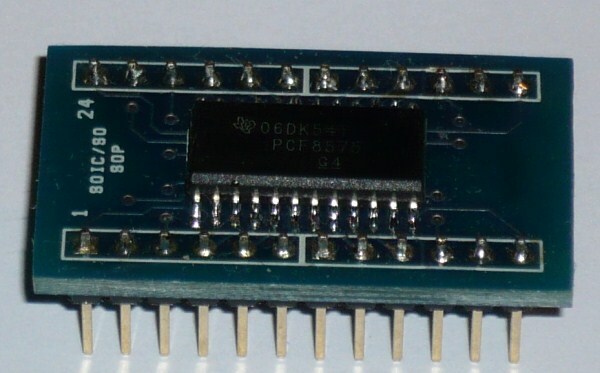 The PCF8575 IC (datasheet) offers 16 I/O PINs and an I2C interface: with the same 2 PINs you use to communicate with the RTC chip, you can also drive 16 outputs connected to 4 Nixie drivers. but still now a blink from any of the LED’s. Are you using any resistor? I”ve tryed it using just the pcf8575 anf an arduino board, no RTC module. Is that doable and if so what I’m I doing wrong? You’re probably using an older (< 1.0) version of Arduino IDE… anyway you don’t need a RTC module for this example, could you post your connections so I can check? I’m trying to build a circuit with a RTC and a PCF8575 . It happens that the RTC does not tell the correct time. There must be some conflict. The code does not appear correctly. Here’s a link to it. are you using an Arduino Mega? Could you advise IO extender on 24 pins (for 6 tubes)? I’ve found the Tca6424rgjr but probably there is something better. 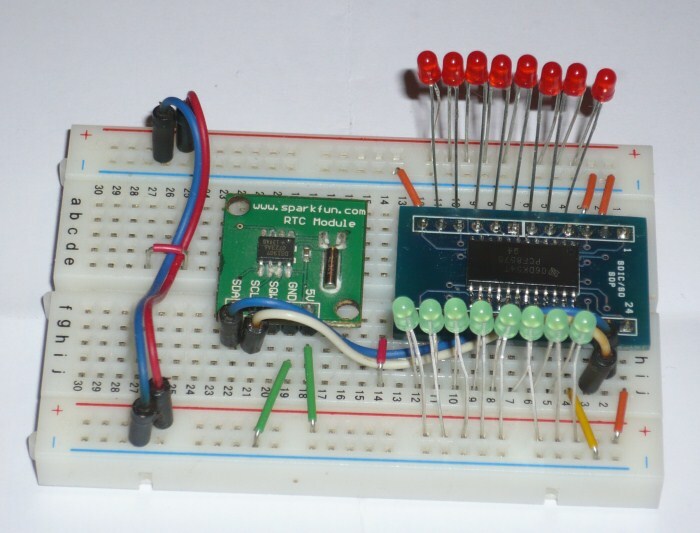 Hi Dmitry… it depends on you: on the I2C bus you can connect more than one expander, therefore you can use 3 8-pins expanders or the one you found that works fine! Hi, where i can read more about power supply ? non riesco a compilare NESSUN esempio che utilizza il pcf8575! Ho scaricato le librerie da github le istallo ma gli esempi Blinkled non si compilano . dice che manca il file PCG8575.h. Ho cercato altre libreria MA IN TUTTO L’UNIVERSO ESISTONO SOLO QUELLE SU GITHUB CHE NON FUNZIONANO !! Devo usare tre 8575 in I2C e collegare ai pin digitali 2 e 3 di Arduino Nano il modulo Bluetooth HC-06 . Le librerie 8575.h e SoftwareSerial.h sembra che non possano convivere assieme.